You had to look at this thread because of the title. 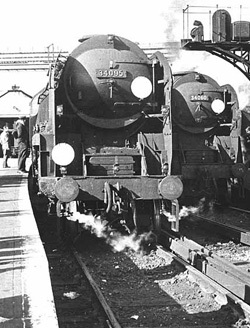 How many of you in the 1950s/60s whenever, were trainspotters. How many bunked Sheds, how many got caught? What sheds did you bunk? Come on, someone has to reply?? Sorry i've never been there - Always used to bunk into sheds and into the cabs with you!! Bad Influence you are! that was depots, not sheds. 34017 Ilfracombe wrote: that was depots, not sheds. Please use the Quote option when replying "34017 Ilfracombe"